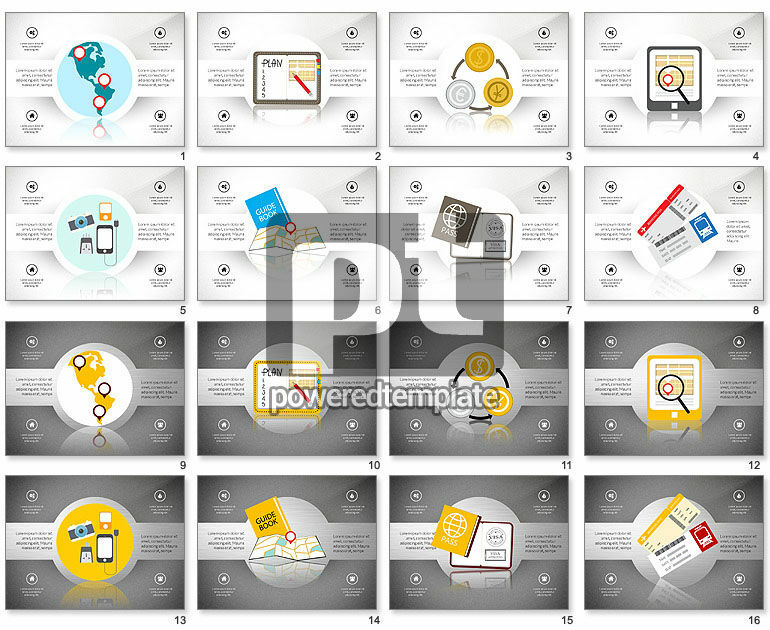 These presentation slides 49641 are complete compatible with Google Slides. Simple download PPTX and open the template in Google Slides. Such a clean and neat style of the design will help you to conquer the audience for sure, looking really easy on the eye. These Travel Shapes for PowerPoint will perfectly fit your unforgettable deck devoted to global tourism, making a travelling plan, budgeting, currency rates, GPS navigation systems as the help for tourists, travel guides, getting a visa, international passports and the like.